These maps of the FatDog race course may be of some help during the race. 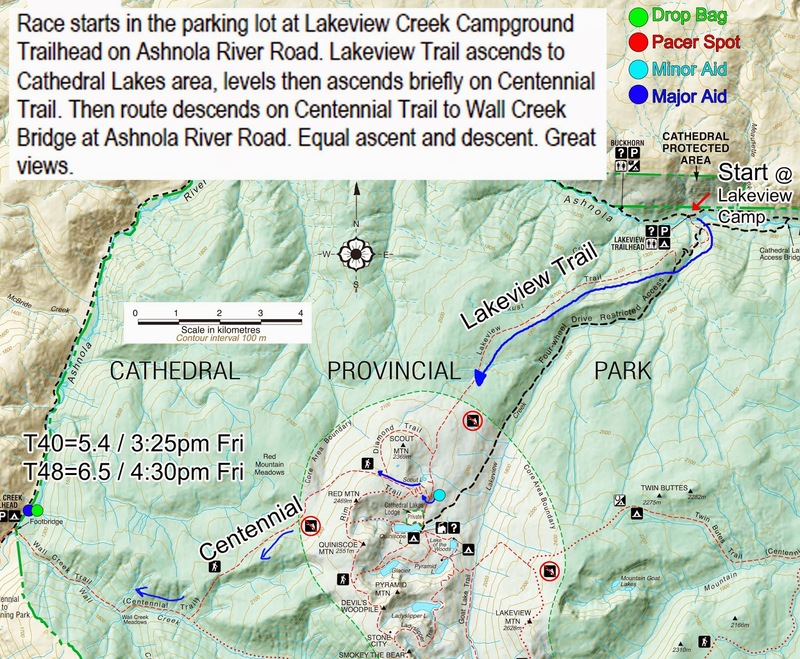 I've included aid stations etc so you know what to expect at each location. 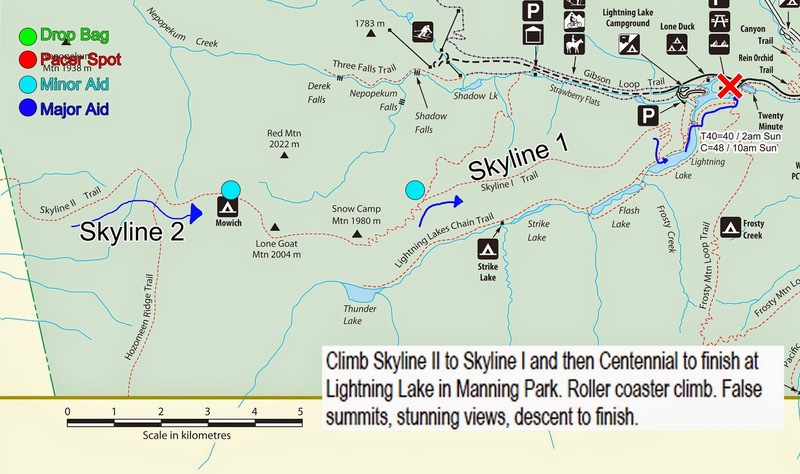 Some portions of the course (Leg 2 specifically) didn't have trail maps available so I had to use satellite/topo maps. 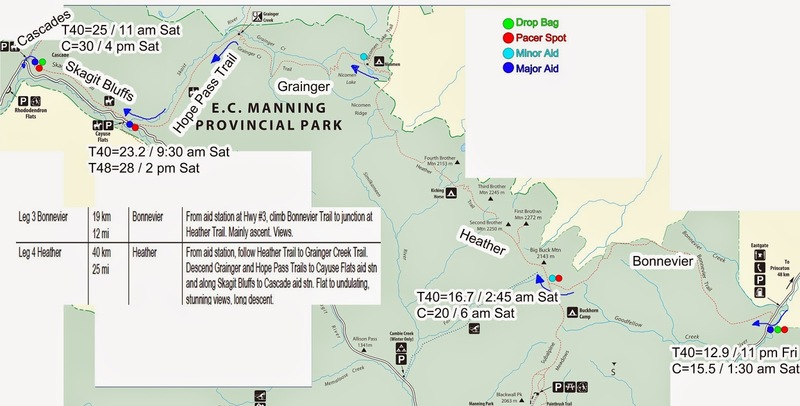 Major Aid stations have approximate checkpoint times (hours, time of day) indicated by T40 (for a 40 hours finish) or T48 (for a 48 hours finish). Hard cut-offs are indicated by C.
Each image below links to a higher quality one you can download. 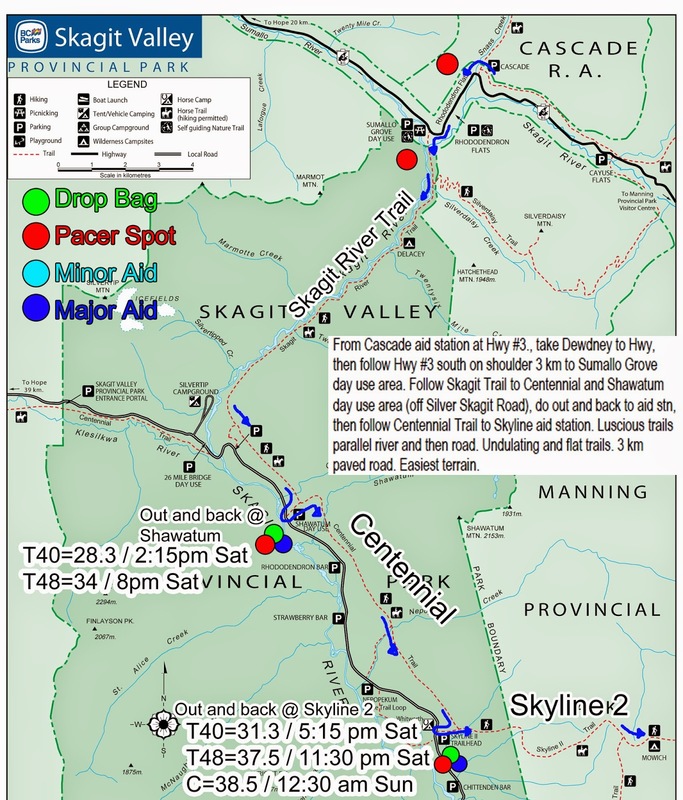 Leg 5 trail map from Cascade to Shawatum to Skyline 2 trailhead. This is the buggiest section.